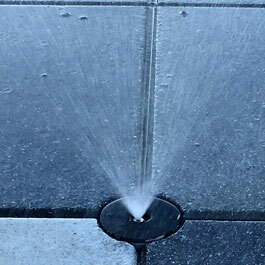 The fountain is programmed with several water jet sequences and musical choices. 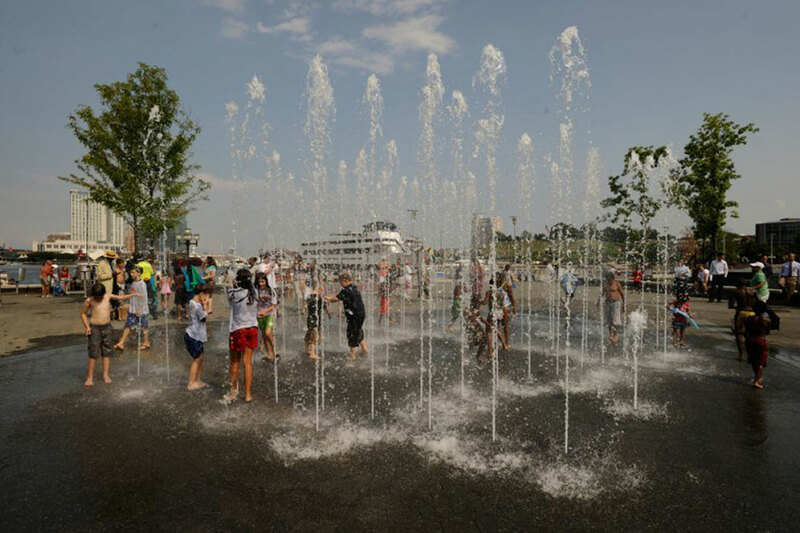 Children and adults cool off in the fountain from the Baltimore Summers. The lights and music create an after-dark water show for park visitors. 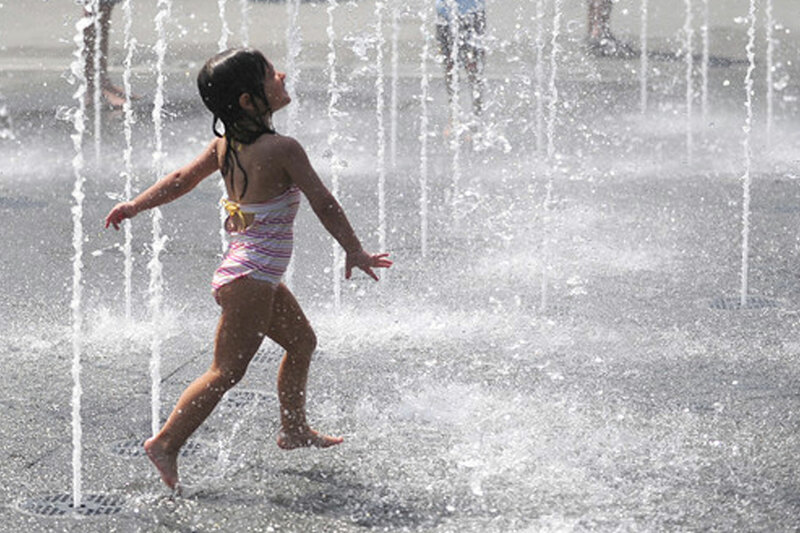 The Walter Sondheim fountain is one of the main attractions for families and children in West Shore Park. ClientCity of Baltimore, Waterfront Partnership of Baltimore, Inc. 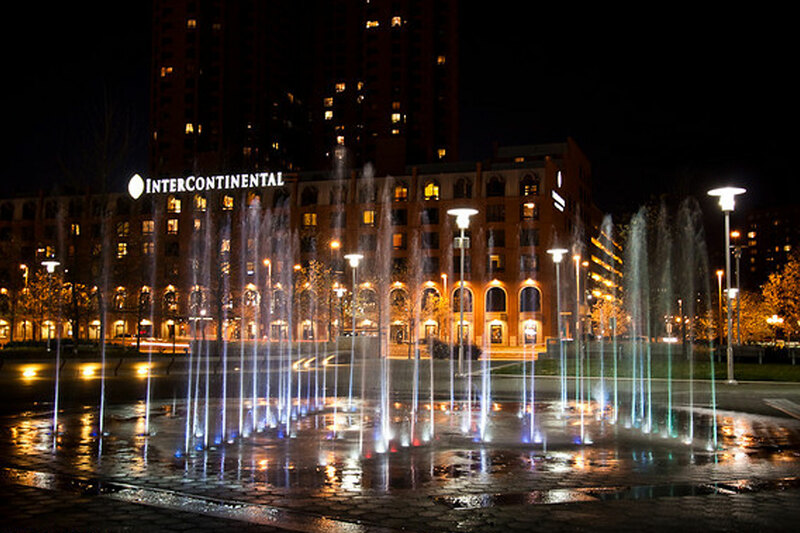 The West Shore Park fountain, also known as the Walter Sondheim Fountain, is an interactive musical fountain located next to the boardwalk on the historic inner harbor of Baltimore, Maryland. 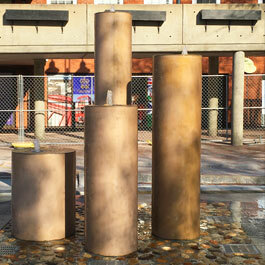 The fountain consists of rows of pop jet nozzles uniquely arranged to give the observer the experience of different “looks”. It also has colored lights that illuminate the streams of water from the pop jets. Songs were chosen that showcase Baltimore’s sophisticated jazz heritage and its patriotic history. 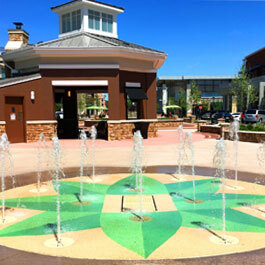 The community fountain also has a fog system that gives the area a mysterious atmosphere before the beginning of select shows. 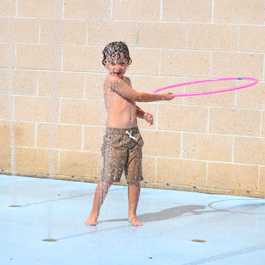 The pop jets are capable of ten shots of water per second giving the fountain versatility perfect for the musical shows. Oversized cartridge filters were incorporated to ensure the proper turnover rate of the reservoir. Water level is monitored by an ultrasonic sensor mounted above the water basin in the remote collector tank and an anemometer is utilized to continuously monitor and constantly respond to ever-changing wind conditions. A web camera assists the operator in confirming his selection from within a controlled environmental room that houses the show controller and audio rack systems.